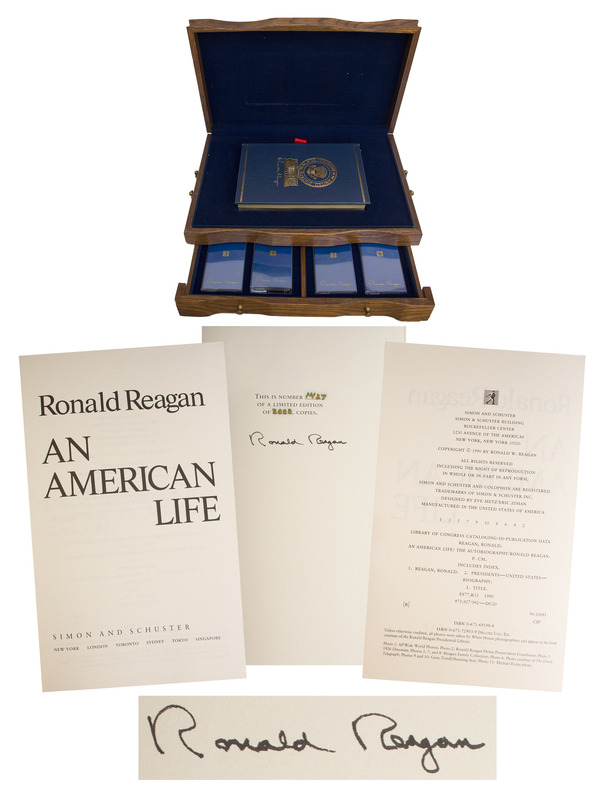 Ronald Reagan signed special edition of his book ''An American Life'', housed in a beautiful custom oak box with audiotapes of ''Speaking My Mind''. New York: Simon and Schuster, 1990. The 40th President signs ''Ronald Reagan'' in black ink to the limitation page, which indicates this volume is number 1,427 of 2,000 copies. This rare deluxe edition comes bound in blue leather boards with a ribbed spine and gilt lettering and design. All edges gilt with marbled endpapers and a satin bookmark sewn into the binding. 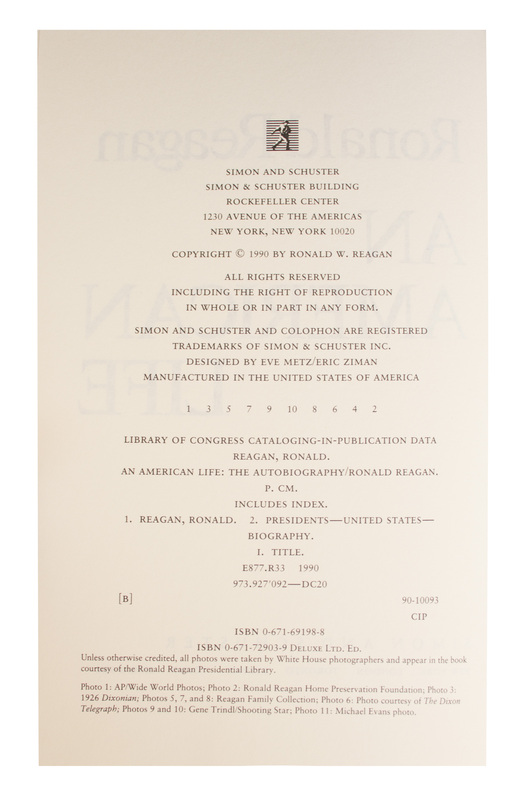 The complete six-cassette series of his audio publication ''Speaking My Mind: Selected Speeches with Personal Reflections'' is also part of the set. 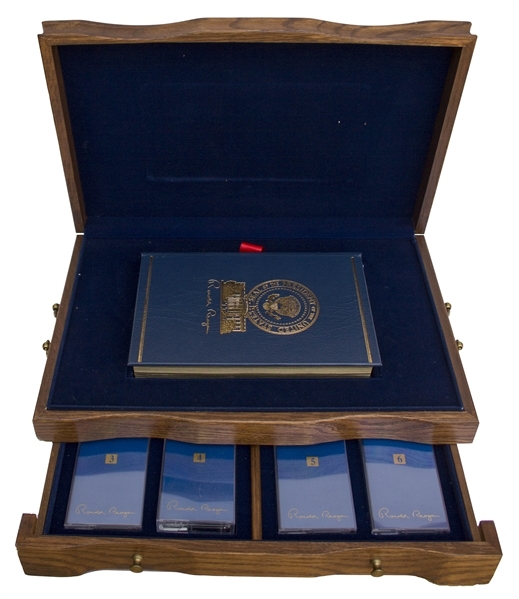 The hinged lid of the case lifts to reveal the book nestled in blue velvet lining. The cassette tapes are housed in a drawer underneath. 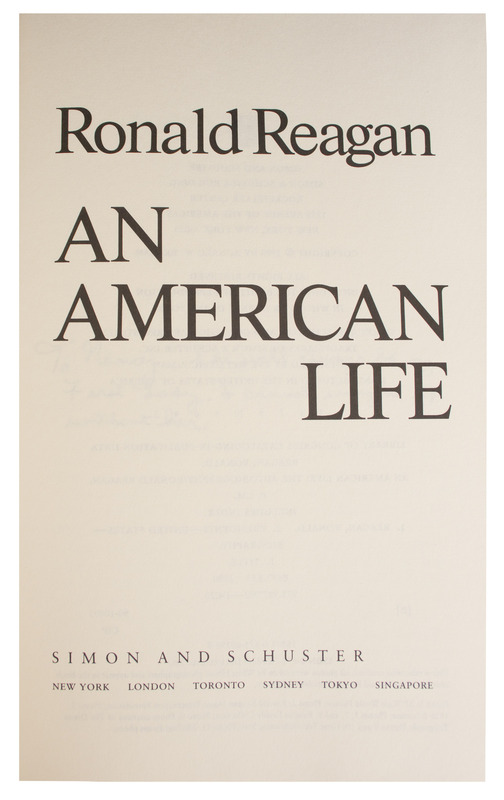 Box measures 16.5'' wide by 11'' deep and 4.75'' tall. Features metal handles on the sides and a metal presidential seal to the lid. 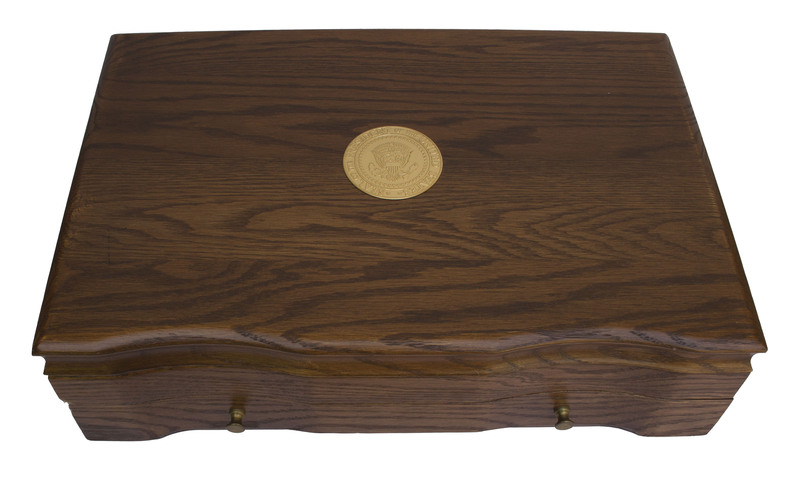 Right hinge is broken, and a scuff to the wood box where lid closes, otherwise near fine condition. 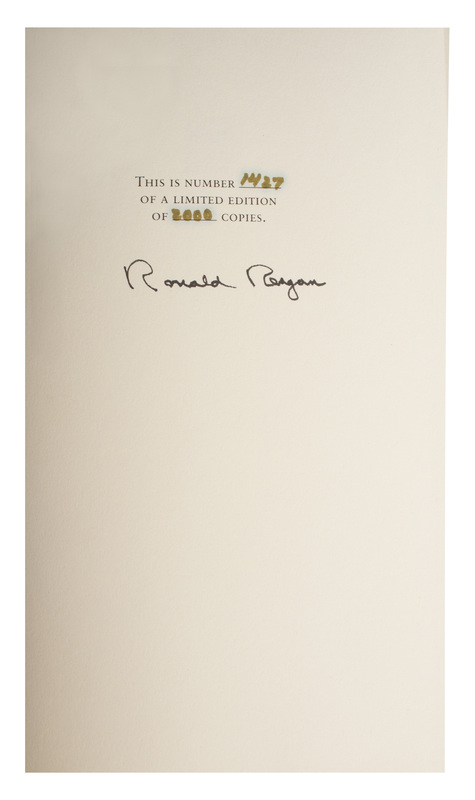 A handsome and comprehensive display set signed by the beloved 40th President.